If you are in danger or require immediate assistance, please call 911. A secure, emergency shelter for women and children who are homeless and/or fleeing domestic violence and abuse. Mary's Place is a secure, 28-bed shelter dedicated to assisting women and children who are fleeing abuse. Interval House will provide a safe place, support for abused women with or without children,community outreach services and practice-based research in our shared quest for freedom from violence. Inasmuch House is a shelter for women fleeing domestic abuse or violence. It also accommodates women with children of any age — from infants to teenagers. The Native Women’s Centre provides safe, emergency shelter for all women regardless of age, ancestry, culture, place of origin or sexual orientation with or without children who are experience crisis in their lives due to family violence, homelessness, or conflict with the law. Emergency overnight accommodation for men, meals, case management and referrals to appropriate community resources. The Family Centre offers temporary emergency accommodation and residential support to as many as 20 families who have become homeless. Notre Dame House is a 24-hour emergency shelter and multi-agency resource centre for homeless and street-involved youth 16 to 21 years of age. Men's Services Opportunity Centre is a 24 hour emergency crisis shelter for men. Professional staff provides the support and services needed daily by the homeless. The Booth Centre Men’s Shelter provides short and long term transitional accommodation, food services, enhanced hostelling programme, case management, financial Management (HPI funding) and assessment and referral counselling for spiritual, practical and social needs. 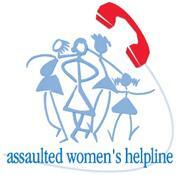 The Assaulted Women’s Helpline offers a 24-hour telephone and TTY crisis line to all woman who have experienced abuse. The Barrett Centre is a mental health crisis program operated by the Good Shepherd Non-Profit Homes Inc. that responds to the needs of individuals experiencing a mental health crisis but do not need hospitalization. The goal is to provide a safe place for people to receive support in resolving crisis situations. The Drug and Alcohol Helpline provides information about drug and alcohol addiction services in Ontario. Their service is live answer 24/7, confidential and free. Fem’Aide is a provincial telephone helpline for Francophone women dealing with violence. Fem’Aide offers French-speaking women who have experienced gender-based violence, support, information and referral to appropriate front-line services within their communities, 24 hours a day, 7 days a week. Kids Help Phone offers phone counseling and web counseling for individuals ages 20 & under. The service is free, available 24/7 and is anonymous and confidential. The Mental Health Helpline provides information about mental health services in Ontario. A helpful Information and Referral Specialist will answer your call, email or web chat 24/7. The service can provide information about counselling services and supports in your community, listen, offer support and provide strategies to help you meet your goals and provide basic education about mental illness. The service is free, confidential and anonymous. Catholic Family Services is a nonprofit, multi-service agency to anyone in need regalrdess of faith, race, ethnicity, economic status, sexual orientation, gender, age, physical and/or intellectual ability. Thrive provides professional assessment and trauma treatment services, as well as prevention and educational programs. Our treatment programs include comprehensive assessment and specialized treatment for children and youth in our community who have been sexually abused, have been involved in intrafamilial sexual abuse (children and youth within the same family), or have problem sexual behaviours. They also offer services to address the unique needs of refugee and immigrant children and youth experiencing trauma symptoms or significant acculturation stress as well as support to their families. The LEAF program helps youth who have witnessed abuse talk about their experience in a safe setting. Mothers also participate with their children to discuss safety plans, anger management, and how to recognize abuse. The John Howard Society of Hamilton, Burlington & Area is a Not-for-Profit organization that works with at risk individuals and is committed to providing a continuum of evidence based and impact driven prevention and intervention services supporting individuals and families to develop the skills and assets necessary to make positive and long lasting life changes, enabling them to become fully contributing members of the community. Hamilton Urban Core is non-profit, charitable and community-governed and provides multi-disciplinary interprofessional health care framed by the social determinants of health. Immigrant Working Centre is an equality seeking, anti-racist, charitable organization dedicated to the social, political and economic inclusion of refugee and immigrant women in a just and supportive Canadian society. The Centre is committed to enabling refugee and immigrant women to discover and build their new futures through skills development and settlement support. The Family Law Information Centre provides information about separation and divorce and related family law issues, family justice services, alternative forms of dispute resolution, local community resources and court processes. The Good Shepherd Woman’s Services provides a place of sanctuary, safety and support for women (and their children) dealing with issues such as: woman abuse, violence, homelessness, mental health, and poverty. We are privileged to offer programs that provide support, give hope and restore dignity. Jared’s Place assists women who have experienced violence by providing information, referrals, and support as they navigate through complicated legal systems (family, criminal, immigration, child welfare) and will work towards systemic and policy change through research and advocacy. The Crown Attorneys’ offices are responsible for prosecuting the vast majority of criminal offences in the Province of Ontario, from summary conviction offences in the Ontario Court of Justice to the most serious indictable offences in the Superior Court of Justice. The Victim Support Line is a province-wide, multilingual, toll-free information line providing a range of services to victims of crime. The Victim/Witness Assistance Program works to enhance victim/witness understanding of, and participation in, the criminal court process; assist the victim/witness to regain a sense of well-being; and ensure coordination of services with community agencies that support victims of crime. The Hamilton Community Legal Clinic is a non-profit community legal clinic serving low income residents of Hamilton. In addition, to providing 'traditional' poverty law services including legal advice and referrals and legal representation, the Clinic is involved in public legal education, community development and law reform. Access to Housing is the point of access for people who want to apply for subsidized housing in the Hamilton area.